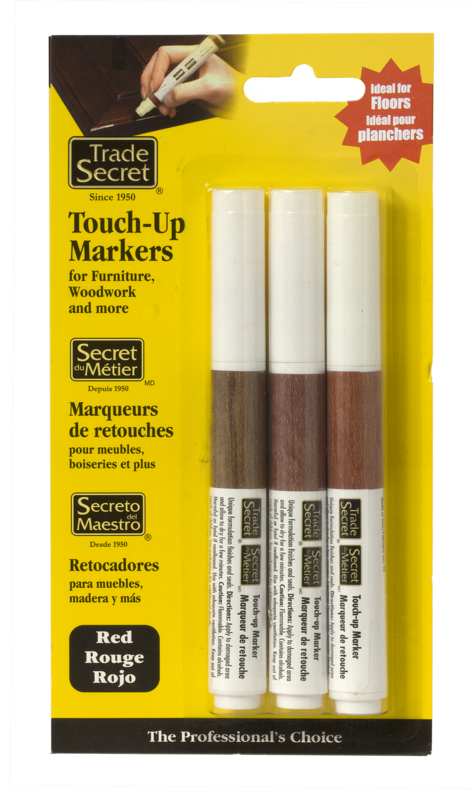 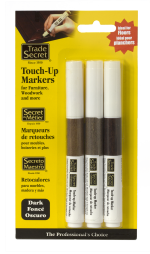 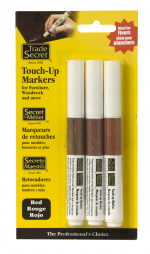 The Trade SecretTM Touch-Up Markers have been used by industry professionals for over 60 years. 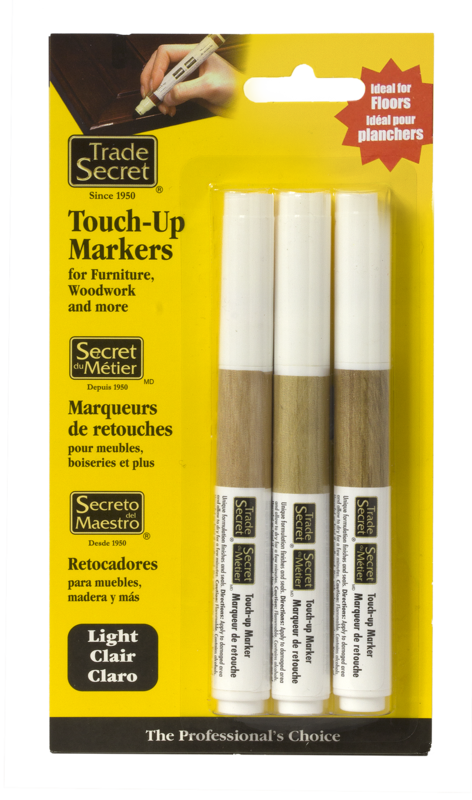 They are easy to use, instantly repair damage and are safe for use on all furniture. Take away the guesswork and choose from our Trio Packed colours. 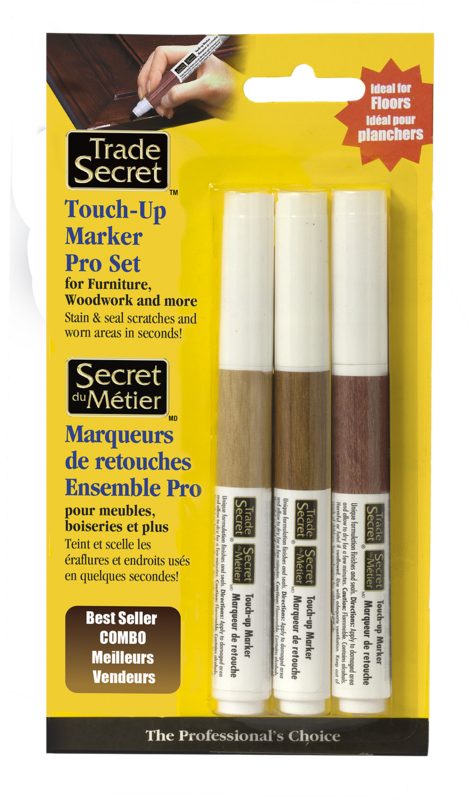 Select from Light, Medium, Dark Wood and Red Wood Tones or the convenient Pro Set. Plus our new Grey Trend Series. 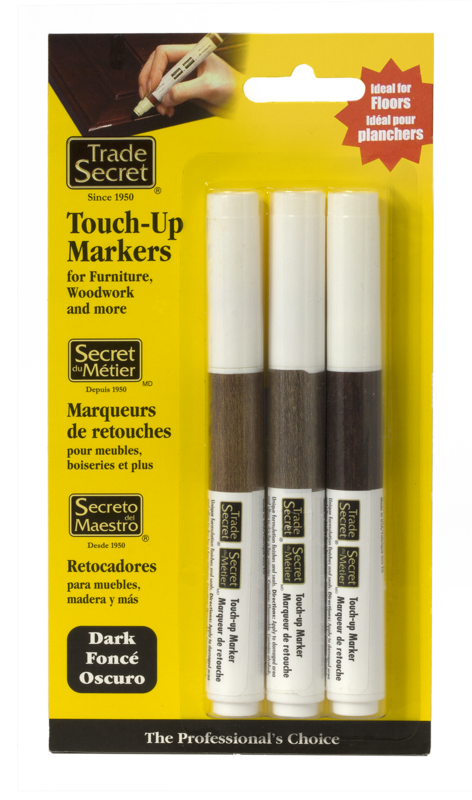 Do more with less! Each package includes 3 different Touch-Up Markers in Light, Medium, Dark or Red Tones. 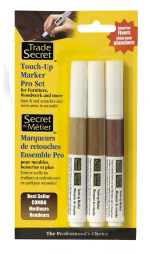 The Pro Set includes a Light, a Medium and a Red toned Touch-Up Marker. The Grey Trend Trio contains several popular grey tones, which are excellent for flooring and furniture.